A low-cost SVBONY T7 W2568 camera was placed at the Cassegrain focus of a Skymax 127 Maksutov mounted on a Celestron AVX, EQ GOTO mount. 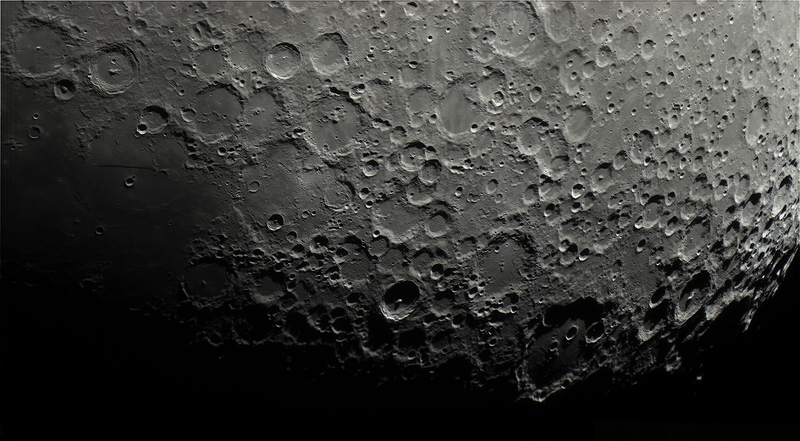 3000 frame SER files were captured of 4 largely overlapping regions on the terminator in the Clavius Tycho region using AstroDMx Capture for Linux. The best 50% of the frames in each of the SER files were stacked in Autostakkert!3 running in Wine and the 4 panes were stitched into a mosaic using Microsoft ICE also running in Wine. 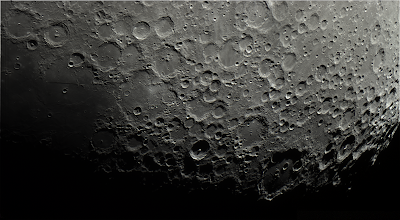 The mosaic image was wavelet processed in Registax 5.1 running in Wine. The final image was post processed in the Gimp 2.10 and RawTherapee.